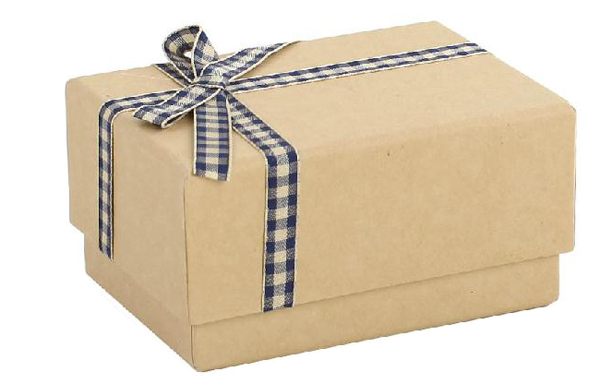 Kraft Gift Boxes are made from recycled kraft paper board, covered by recycled kraft paper,kraft paper,white kraft paper,ribbed kraft paper to build 100% eco friendly rigid gift boxes to package and protect any products and gift item in green way. 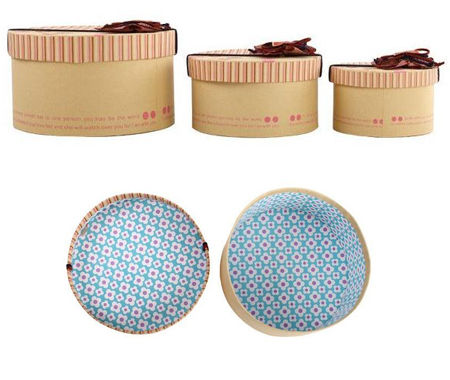 As kraft gift boxes wholesale,Gift Boxes Shop wholesale kraft gift boxes coming in many sizes,designs to meet customer's requirement at green packaging. 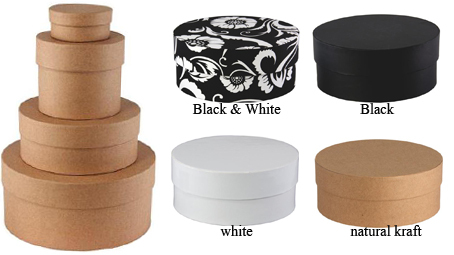 These Kraft rigid gift boxes are made from recycled kraft paper board and covered by kraft paper,offering natural and eco friendly feeling,custom logo can be printed on box by hot stamping to state more message of environment friendly. 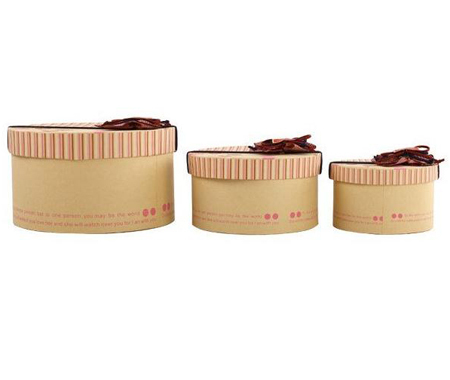 Kraft rigid gift boxes at www.giftboxshop.org come in 4 sizes. 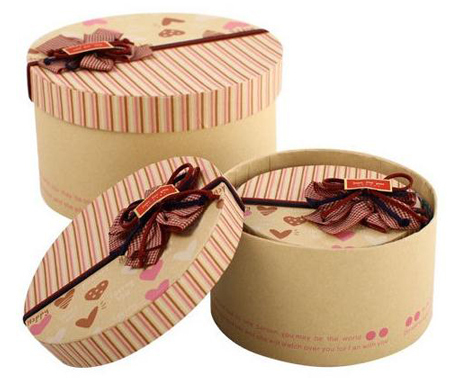 size 1) 8 x 4 x 3" 2) 6 x 4 x 3-1/2" 3) 10 x 8 x 5" 4) 12 x 10 x 6"
These eco friendly kraft gift boxes are made from recycled kraft paper board, covered by recycled kraft paper,feature with round shape,lift-off lid,heart design printing,ribbon bow.Gift Boxes Shop wholesale round recycled kraft boxes coming in 3 sizes. 1) 8 x 8 x 5" 2) 10 x 10 x 6" 3) 12 x 12 x 7" 4) 14 x 14 x 8"
1) 6 x 6 x 2-1/2" 2) 8 x 8 x 3-1/2" 3) 10 x 10 x 4-1/2"
1) 4-3/4 x 4-3/4 x 3" 2) 6 x 6 x 4"
3) 7-3/4 x 7-3/4 x 4-1/2" 4) 9-1/2 x 9-1/2 x 5"
​5) 11 x 11 x 6" 6) 12-3/4 x 12-3/4 x 7"
4) 10 x 10 x 6" 5) 12 x 12 x 7" 6) 14 x 14 x 8"
Those kraft gift boxes are made of kraft paper board,covered by white kraft paper,lift off lid,at Gift Boxes Shop,white kraft gift boxes come in 4 sizes,custom logo can be printed on box by hot stamping. 1) 6 x 6 x 2" 2) 8 x 8 x 4"
3) 10 x 10 x 6" 4) 12 x 12 x 7"
4) 9 x 9 x 3" 5) 11 x 11 x 6" 6) 13 x 13 x 6"
1) 3 x 3 x 1"
2) 5 x 5 x 2"
3) 7 x 7 x 3"